This is a place for you and your young child to enjoy together. Inside, you will find many different materials and activities to explore together. 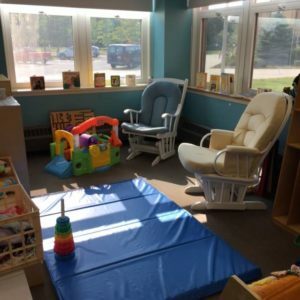 Based on the premise that children learn best through multi-sensory hands-on activities, this environment is designed to provide play-based learning opportunities. Playgroups here are interactive programs where social, emotional, and communication skills are embedded in our daily interactions. Children have the freedom to explore & create with the security that a parent or caregiver is nearby. By attending playgroups, parents will be introduced to developmentally appropriate activities which they can continue to utilize and expand on outside of the playgroups. Playgroups can also be an avenue for parents to share, connect and develop relationships while learning about other community resources & programs. The Sandwich Partnership for Families at Forestdale believes that the best programs are those in which both professionals and parents work together to ensure a successful experience for all. Your suggestions and ideas are important to us. We celebrate all families and welcome the diversity that enriches the culture of our community. The involvement of fathers is essential to their child’s healthy development. We value the participation of men in our programs. Adult programs are also available on many different topics. Check our website calendar for details. Please note: hours vary by season and year. Check our website calendar for details. CANCELLATIONS/CLOSINGS: The Discovery Center follows the Sandwich Public School calendar. 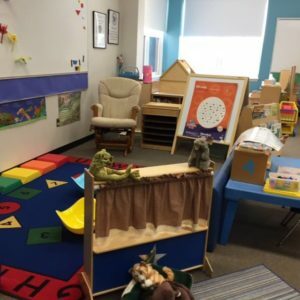 On in-service days, playgroups will be held. If school is canceled due to inclement weather, playgroups will be canceled.